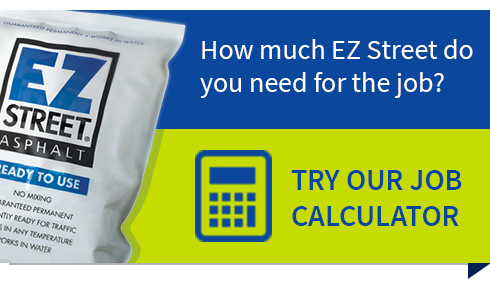 If you like simple and you like performance, EZ Street cold asphalt is the perfect solution. In the EZ to use carry bags, EZ Street is a ‘ready to use, all in one’ solution for driveway repair, pothole repair, path creation, reinstatement work and other landscaping creations. Anyone can patch potholes like a pro. It really is that EZ. Visit EZ Street DIY for do it yourself pothole repair tips!